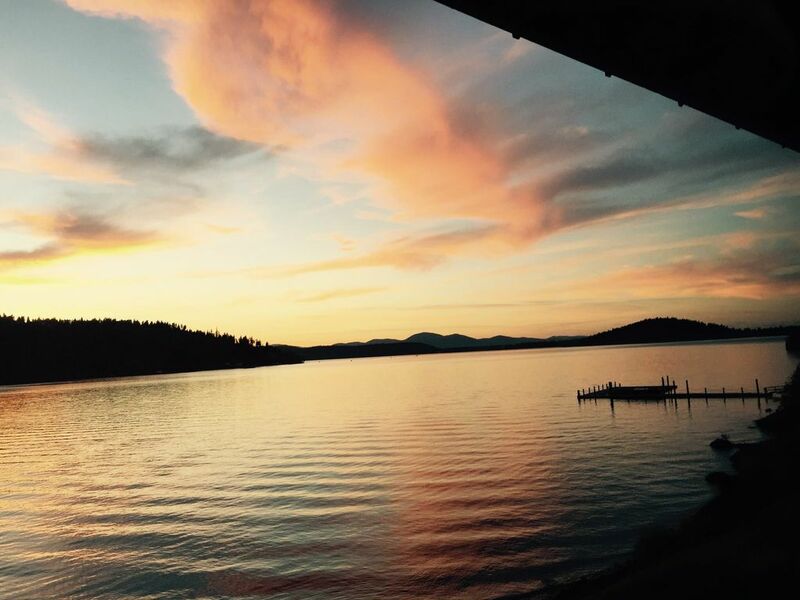 Welcome to your serene Lake Coeurdalene gateway! Our waterfront condo has gorgeous views and an oversized deck to enjoy all the seasons of North Idaho. Turn the stone fireplace on, go for a swim year round in the indoor pool, go for a mountain hike, play volleyball on the lake shore, go for a swim in the lake, take a short drive to the historic town of Harrison for bike riding through converted train routes in the mountainside. Enjoy your oversized luxury 2 bedroom condo year round on lake Coeurdalene! There are 2 queen sized beds, dining room, full service kitchen, living room, and 2 full baths. Unit can sleep 4 comfortably but can accommodate 8 (2 queen beds, one bed in each bedroom, and 2 queen air beds) No pets allowed. The unit is apart of the Wyndham condo buildings but is privately owned in building D, 3 nights minimum. Coure D Alene is a beautiful place and will definately be coming back to visit. The Condo had a beautiful view of Lake Coure D Alene and couldn't have asked for better. It was clean and well maintained. It had all the amenities of home and very comfortable. Had a few glitches with the TV in the living room, but with a little persistence, things were reset and working normally. The VRBO folks were very responsive to our emails and were on the verge of replacing the TV, but luckily we figured things out and a new TV was not needed. Big Thanks to Ashley from VRBO for her patience and responsiveness! Highly recommend staying at this property. It was truly a home away from home. As a first time user of Home Away, the process was easy, homeowner was so responsive and her place was comfortable and very lovely. I would come back. The property was great, quiet and peaceful. The drive out was beautiful. We spent most of our time away from the property, but while we were there it felt like home. The views were amazing and the kids enjoyed watching the boats going by on the lake. There were a few things we didn’t think to bring with us, like laundry soap, but we were able to stop in town to get everything we needed. Overall it was a great experience and we will definitely stay again! The condo was very comfortable and the scenery was breathtaking; 4 eagle nests nearby. The location is pretty remote and accessible by a two lane winding road. The small town of Harrison is about 30 min. away; Coeur d Alene about the same. Plenty of trails and hiking in between. Very nice accommodations. Bed was comfortable as was the furniture. Great setting right on the water.